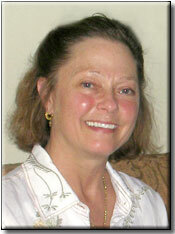 Gail is certified in the Iyengar method of hatha yoga. She has been teaching for 23 years. Her compassionate approach to teaching all levels of students incorporates respect and the individual strengths and challenges of each student. She invites each student to move deeper within to find their inner guidance, to more fully understand their bodies and it's innate wisdom. The morning yoga class will awaken your body to it's full range of movement. Incorporating breath awareness with the asana movement helps to open the students to all levels of their being.